HTC is selling back the remainder of its stake in Beats Electronics, shedding its financial ties to the headphones vendor in a partnership that did little to help turn the smartphone maker's fortunes around. HTC on Friday said it would sell off its 25 percent skate for $265 million, according to a Taiwan stock exchange filing. In addition, the company will receive $150 million and accrued interest from Beats at a later date as part of a promissory note. The deal will close in the fourth quarter. The stake sell-back ends a partnership that lasted only two years, and was originally heavily promoted by HTC as a way to differentiate its phones from rival handsets. 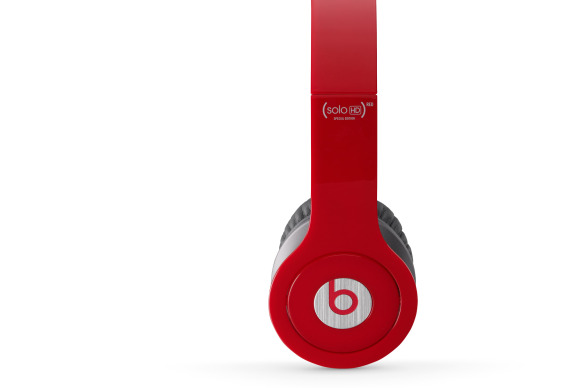 The U.S.-based Beats is perhaps known for its ties to rap artist Dr. Dre, who helped found the company. In August 2011, HTC bought a majority stake in Beats for $300 million. As part of the deal, HTC decided to incorporate the company's headphones and audio technology into its own handsets. Since then, however, HTC's smartphone market share has declined on fierce competition with Apple and Samsung. Its also posted a string of weak earning reports, with the company's second quarter net profit down 83 percent year-over-year. Last year in July, HTC scaled back its financial ties to Beats and sold off half of its majority stake in the company for $150 million. At the time, HTC said the move would give Beats more flexibility to expand globally. But analysts also said the Beats partnership had failed to give HTC a significant edge over its rivals. On Friday, HTC signaled that it no longer needed Beats' expertise in audio technology. In its stock exchange filing, the company said its own "HTC BoomSound" tech could deliver superior audio in mobile phones. The Taiwanese smartphone maker, however, added that the two companies "will continue to partner as future opportunities arise." As HTC cuts financial ties with Beats, U.S. private-equity firm Carlyle Group said on Friday it was buying a minority stake in the headphones company. As part of the investment, Carlyle Group will help Beats expand its business both in the U.S. and globally. Carlyle Group is buying the stake for $500 million, according to a report from The Wall Street Journal.